Yellow beans speak to me of summer. Kale announces fall and the onset of winter. So, on this chilly still-summer morning it is good to have both on my plate. 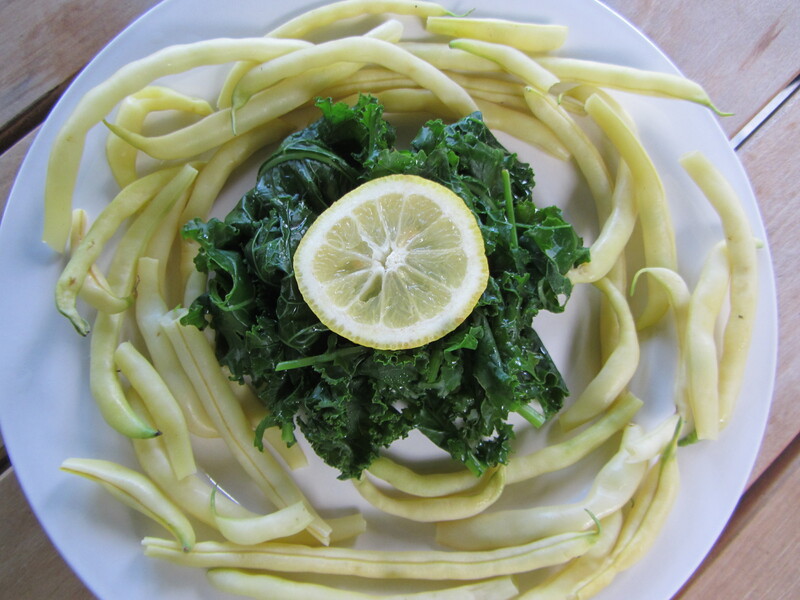 This is an alkalizing dish, as all three ingredients alkalize the system when digested. This boosts the immune system and helps preserve bone and muscle mass. Wash the beans and kale well. 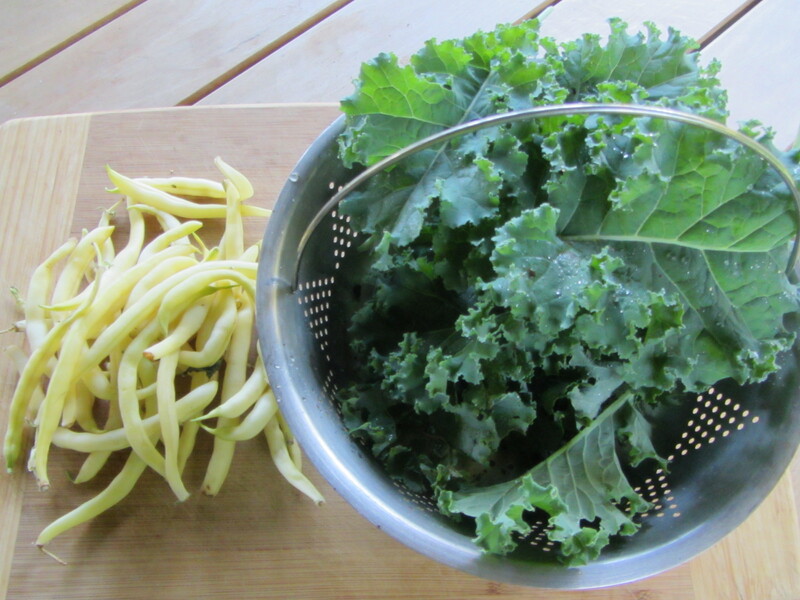 Trim the brown ends off the beans and remove any stems from the kale. 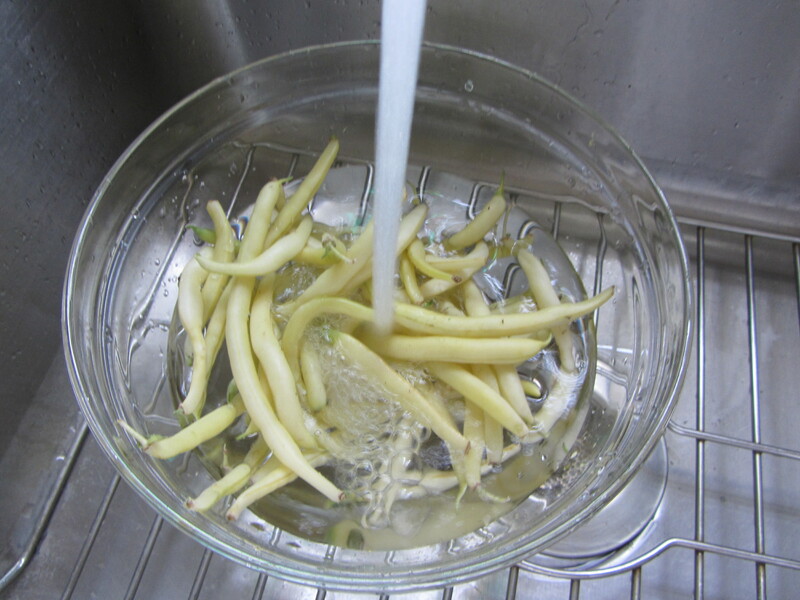 Place the beans in a bamboo or stainless steamer basket. 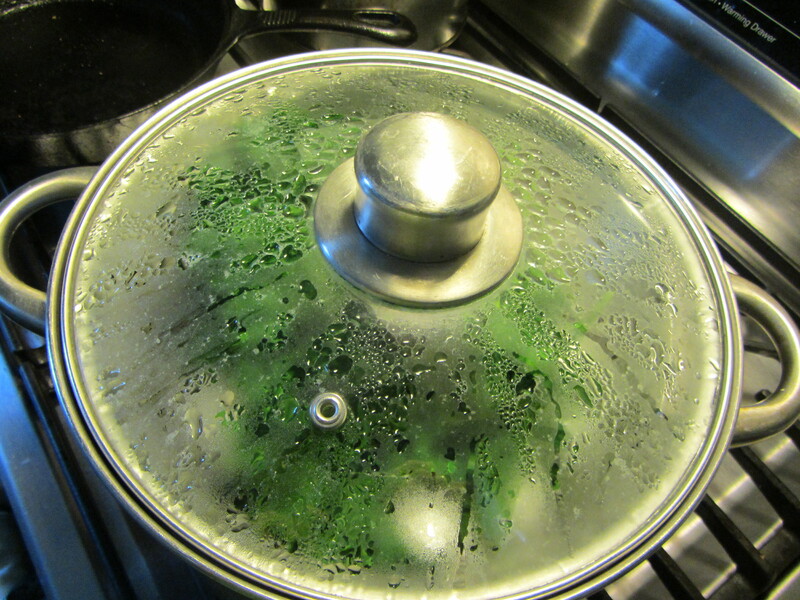 Using a steamer pot, bring a small amount of water (about 2-3 inches) to a boil. Put the steamer basket into the pot, covered. It should take the beans about 1-2 minutes to steam; color will become more intense. When they are steamed, remove them from steamer basket and place on a plate. Rinse steamer basket and place kale inside. Be sure water is still boiling, and put steamer basket into the pot, covered. The kale will steam in about 1 minute: it is done when it wilts but is still bright green. Remove the kale and place on the plate with the beans. Slice the lemon and place on top or on the side as a garnish.